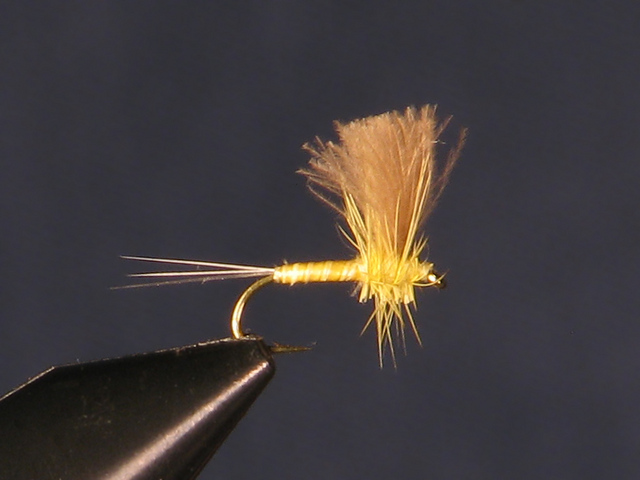 I almost always use two flies when fishing midge patterns. 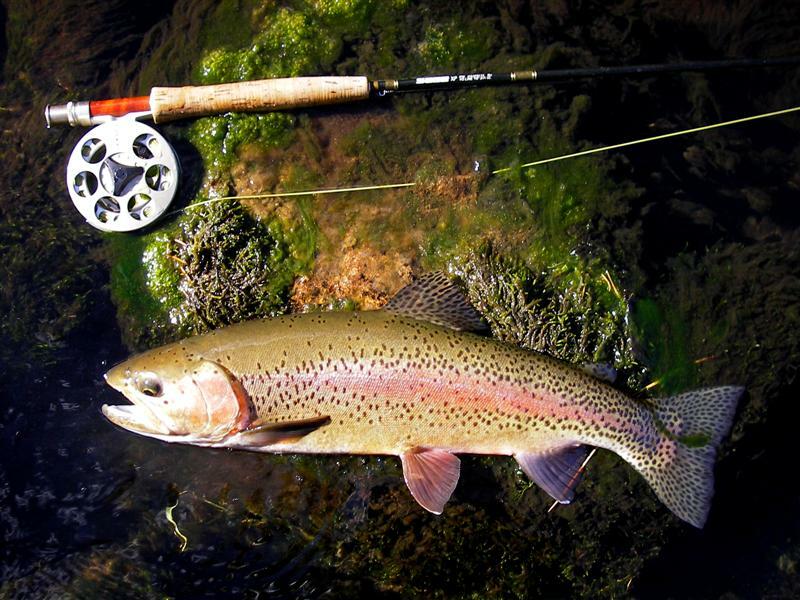 The patterns are usually small and the trout are less willing to move to feed, so fishing multiple flies allows you to fish two current lanes, two water depths, or two insect stages at once. 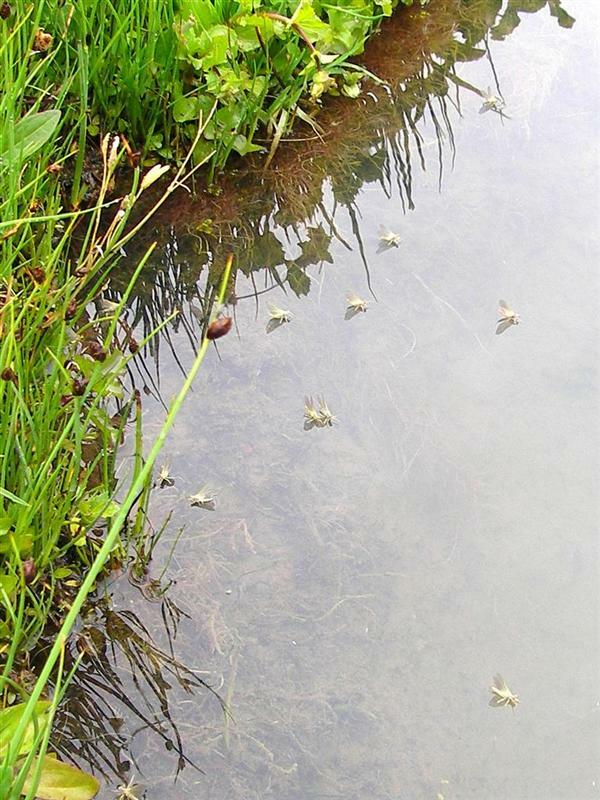 These methods will need to be adapted if fishing regulations prevent you from fishing multiple flies simultaneously. When I first started winter fly fishing on rivers, I had a preconceived notion that the rivers lacked winter hatches, so any fishing would have to be done with nymphs or streamers presented down deep to lethargic trout. The thought of insects hatching and trout actively feeding at the surface seemed like a distant memory. Surely no self-respecting insect would hatch when it was 20 degrees outside and the wind was howling. Snowy river banks, iced-up rod eyelets, numb fingers and frozen feet were the name of the game now. The fly leader is the connection between your fly rod-and-line, and the fly. On a typical 40 foot cast the leader represents 25% of the distance between you and the fish. Having the right leader can help increase your fishing success. Tying your own leaders will help you cast your fly farther and with more accuracy, resulting in catching more fish! Many people like to use "store-bought" leaders with a smooth continuous taper. Unfortunately these leaders aren't as effective at transmitting the energy from the fly line to the fly and the result is often casts that don’t turn over the fly very well. A properly constructed leader can be matched to the weight of your fly rod and will help turn over big flies such as grasshoppers as well as little tiny flies such as PMDs and midges. Hand tied leaders are also easier to repair and add new tippet. I find that I can use the same leader all year with a few repairs during the season. I also like nymphing with the hand-tied leader; snugging the strike indicator up to a knot, and putting split shot above a knot so it doesn’t slip. Thanksgiving weekend 2007 not only afforded me a few days to visit Mom in Washington state on the shores of Puget Sound, but also allowed for some time spent fly fishing for SRCs (Sea Run Cutthroats) and chum salmon in the cold, clear, saltwater of the Sound. Being from Idaho I don't get a chance to fish saltwater or salmon too often, so I flew out to Washington not only looking forward to spending the holiday with family, but also in anticipation of a new fishing experience and the challenge of coaxing some saltwater species into my net. The 2007 year was the second consecutive year that I have recorded all of my fishing trips into Fish Swami. One of the benefits of keeping a fishing log for all of my outings is being able to view catch statistics for previous years. Fish Swami has a very powerful statistical analysis tool that lets you query your fishing log for almost any statistic you would like to know. I used that tool to compile the following table for my top 10 fish-producing flies for 2007. As winter turns to spring, steelhead resume migrating to their spawning grounds. River freshettes (where the water rises) and warmer water temperatures draw fish upstream and into smaller tributary streams. As steelhead get closer to their spawning grounds it becomes easier to spot them, both because of the smaller size of the river, and because they move into more predictable locations. Sight fishing for steelhead is an exciting experience. Instead of blindly fishing mile after mile of water you can actually see your quarry and how it reacts to your fly. Chances of success are greatly improved when you know the fish are present, and you can direct your cast to them. Team fishing, where one partner spots from a vantage point while the second partner fishes will help you hook-up. However, spotting steelhead takes practice and some stealth. 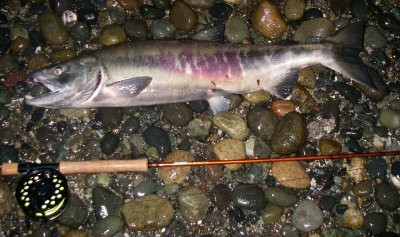 Here are some tips on locating migrating steelhead in the river. Fall is an amazing time to be outdoors - the oppressive heat from summer is gone, the hillsides turn gold and crimson in radiant splendor as trees present their annual parting gifts, and fishing picks up as fall hatches commence and fish gorge before the winter. Fishing isn't always great, however, but luckily when it's not, nature affords a multitude of opportunities to take photographs or simply relax and enjoy the season's diminishing warmth. The photographs that follow are from my autumn adventures thusfar. Enjoy. On many rivers, Pale Morning Duns (PMDs) are a relief to both anglers and fish alike. In the West, the hatch of the medium-sized mayfly can occur both in numbers and duration during the summer months. 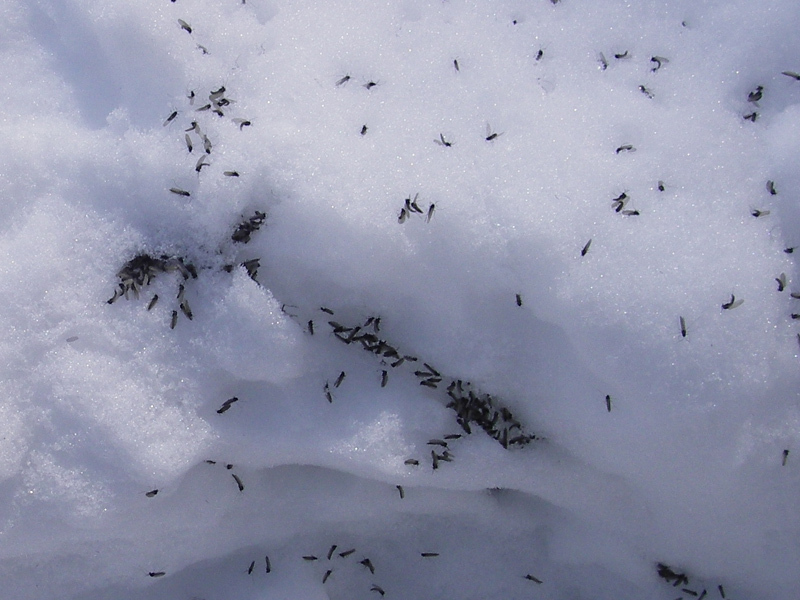 After a winter and spring of fishing miniscule midge patterns or trying to time sporadic drake emergences, PMDs can ease anglers and fish into a fairly consistent daily schedule of hatch and spinner fall. This allows an angler to spend time not only on honing patterns for each stage of the Pale Morning Dun's lifecycle, but also on focusing on specific water types to fish certain patterns. Fish Swami is proud to introduce its newest section of the site - Fish Videos. It can be intriguing and entertaining to watch fish when they are active, and one can learn lessons when fishing by spending more time watching fish before he or she actually wets a line. Odds can be tilted in the angler’s favor by discerning if a fish is feeding, how it is taking its food, whether it seems curious or if it is simply lethargically biding its time until the next major hatch to feed. My goal is to take videos of fish in varying situations, sometimes showing a lesson to help the angler succeed and sometimes simply to enjoy watching fish interact with their environment. Mountain lakes hold intrigue. They're often protected by long drives down dusty, washboard-surfaced dirt roads that recall memories of bouncing on your dad's knee as a child. They're also protected by long hikes carrying heavy packs that bite into your shoulders, making you wonder why you didn't spend the weekend at home enjoying the air conditioning. 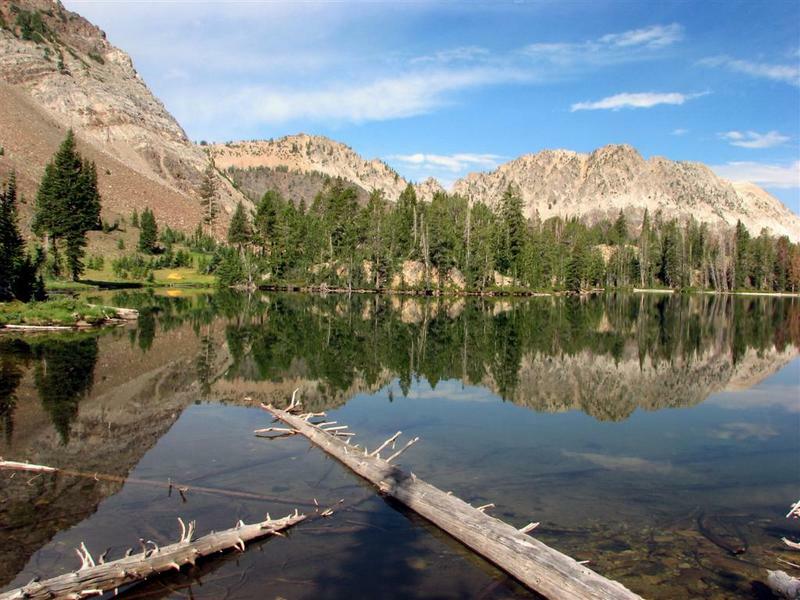 But it's that euphoric feeling of giddiness felt once the mountain lake materializes out of forest and trail that lightens the pack, soothes the shoulders, and sends you scurrying to ready your fishing gear.